If you are a musician or really in to your music, these wallpaper may be just what you’re looking for. It’s a treble clef on various backdrops. There are four to choose from, all downloadable directly from my DeviantArt gallery. I created the treble clef (twice) using Blender. My original idea was to create a clef which only looked like a clef when viewed from directly in front at exactly the right distance. I was going to use some perspective tricks. But, in the end, I just made a clef. 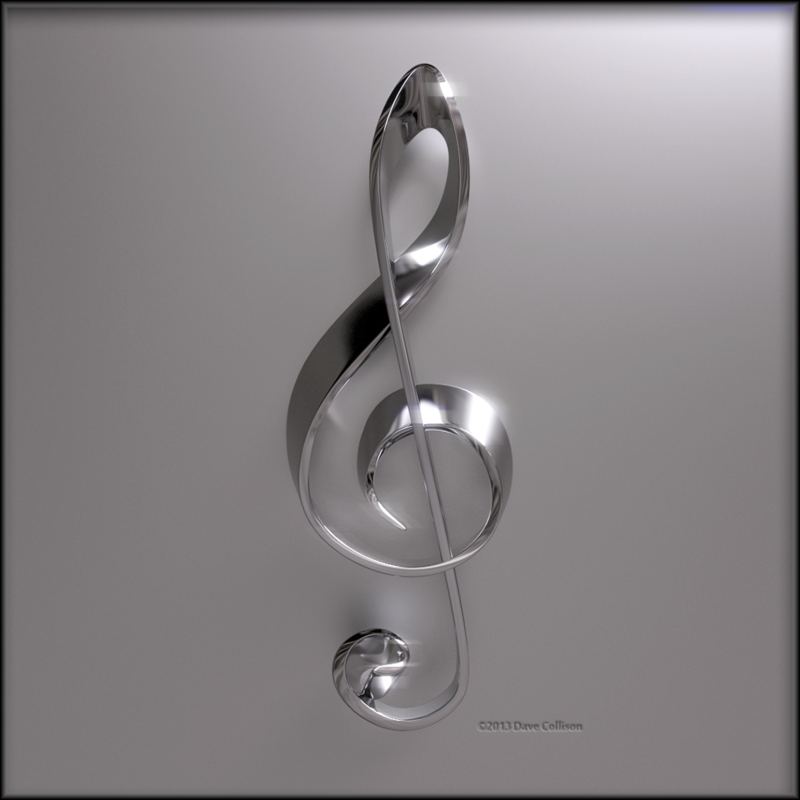 The model of the clef is also available to download for Blender users from BlendSwap. This entry was posted in 3D, Artwork, Wallpaper and tagged 3D, background, blender, clef, g clef, modeling, modelling, music, picture, render, symbol, treble clef, wallpaper. Bookmark the permalink.